Famously, Moshe's name does not appear in this Parsha at all. Rabbi Shimon Sofer puts a positive spin on Moshe's absence,, and suggests that it is a reflection of his absolute one'ness with the Torah. What mesirat nefesh would have created such a close connection to the Torah, that would unify his identity with its message? Why does Miriam die before she has the opportunity to enter the land of Israel? We know that the women did not participate in the sin of the Spies and where therefore not included in the punishment. Also, Miriam was not included in the punishment of hitting the rock instead of speaking with it. We can also ask the question this way: Why was Miriam not selected to lead the Jewish people into their homeland? 1) The most obvious proof to this opinion is that Shavuos is frequently referred to asChag Hakatzir – the harvest festival. 2) The timing of the story of Ruth happens between the barley harvest (connected to the Omer sacrifice) (Ruth 1:22) and the wheat harvest (Ruth 2:23). 3) There are numerous mention of ‘harvesters’ within the story (Chapter 2). 4) The main interaction between Ruth and Boaz takes place in a granary (Chapter 3). The harvest theme is common throughout the book of Ruth and makes it a very logical story for the holiday of Shavuos. The Abudirham suggests another connection between the Book of Ruth and Shavuos. The story of Ruth focuses on her conversion and acceptance amongst the Jewish nation. This is linked to the giving of the Torah at Mt. Sinai which we commemorate on Shavuos. When the Jews received the Torah, preparations were made which included immersion in the mikveh/ritual bath (Shemos 19:10) and sprinkling of blood towards the nation (Shemos 24:8). The Talmud (Yevamot46b) establishes that there is no sprinkling of blood without a prior tevila (immersion) in the mikveh. In order to commemorate the ‘festival of conversion’, no other book was more fitting to be read on Shavuos than the Book of Ruth with its subtle themes of conversion as recorded by the actions of Ruth. Another reason for the reading of the Book of Ruth is its focus onchessed/kindness which is evident throughout this story. Ruth shows kindness to Naomi, Boaz is kind to Ruth, Boaz is kind to Naomi etc. This theme is the underpinning of the entire book. This brings us to another theme found in the book of Ruth that is in great contrast with our prior message, the idea of of yisurim/suffering. Our Rabbis tell us that Torah knowledge is acquired only through hardships. In Pirkei Avot there are 48 attributes required for the ‘acquisition’ of Torah and the “method to Torah knowledge is by consuming only bread and water and sleeping on the ground” (Avot 6:4). Ruth represents an ideal person who wished to acquire a Torah oriented life-style and the hardships she endures to become Jewish and lead a life of a Torah Jew are quite remarkable. The Yalkut Shimoni(Ruth, Remez 596) states that the Book of Ruth is read on Shavuos to remind us that Torah can only be acquired by leading a life which includes suffering and sacrifice for the sake of Torah. This ideal is very foreign to the comforts of our modern society and we have carefully to consider the impact of Yisurim within our lives today. The Book of Ruth offers us another lesson that deeply resonates at the time of Shavuos. The Book of Ruth can leave an appreciated of the importance of Torah Shebal Peh (Oral Law) in the transmission of Torah to the Jewish people. Ruth can only become the ‘mother of royalty’ because of the allowance to admit her into the Jewish people in a decision found within the Oral Law. In Talmud Bavli Yevamot (76b) there is a lengthy discussion in which King David’s eligibility to the monarchy is questioned by Doeg. He argues that King David should not even be considered Jewish due to ancestry containing Ruth. Amasa responds with vigor and declares the tradition of accepting female Moabite converts (see: Chidushei Hagriz-R. Velvel Soloveichik on this topic who illustrates that this law is actually Halacha leMoshe Misinai (a rule taught to Moshe at Mt. Sinai). 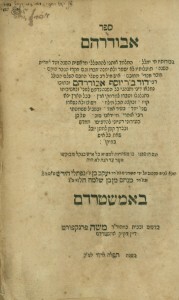 The Oral law is both paramount in the Megilla and in the transmission of Torah and the link is indicated by reading this story on the festival when the Torah is received. Another connection between Shavuos and Ruth is in the beautiful conclusion of the Megilla which lists the lineage of King David. Traditionally (Talmud Yerushalmi Chagiga 2:3) we believe that David was born and died on Shavuos, so the story of his yichus/lineage is appropriate to be read on his Yahrzeit which occurs on this holiday. When examining all the above suggestions one can comment that these reasons each touch on one aspect of the Book of Ruth and link the festival to that topic; one may even suggest that these ideas are afterthoughts and conveniently explain the reading of the Book of Ruth on Shavuos. However it does not seem like there is a suggestion that highlights the essence of the story in a more fundamental way, than with the idea of chessed, which is seen within the book in the specific places as explained above. Can we find a link to the essence of the Book of Ruth and find the link to Shavuos to warrant the reading of this beautiful story at this time? Rabbi Gruzman makes his own suggestion for reading the Book of Ruth on Shavuos. If we have so many commemorations of the Exodus from Egypt, why do we not celebrate also the entry into the land of Israel through a festival during the year? This question is perhaps obvious but not asked by many. Rabbi Gruzman answers by illustrating that Shavuos is also called Chag Habikkurim - festival of First Fruits. This is the moment when we thank God for the harvest of fruits, especially those of the land of Israel (Mishna Bikkurim 1:3).When the Bikkurim are brought to the Temple in Jerusalem a declaration (Devarim Chapter 26) is recited where we invoke the Egyptian exile and our journey into the land of Israel.Bikkurim become our way of celebrating this entry into our Holy Land and Shavuos becomes the commemoration of this major event in our history. 1) The greatest Jew of his generation goes to exile in Moav and his family is almost entirely lost. 2) His sons marry Moabite women and die young. 3) Even though the return to Israel for Ruth and Naomi is fraught with problems, they overcome these profound challenges. 4) Ruth and Naomi become role models for the process of klita/absorption, which we can proudly say in our day has been experienced by millions of Jews from across the globe. 5) The Book of Ruth also celebrates the Land of Israel from start to finish, especially in contrasting the fate of the Jews of exile and the rebirth that is experienced by living in the land. This is the essence of the story of Ruth and all the other above suggestions as to why we read it on Shavuos (e.g. increased chessed, awareness of Oral law, Kingship of David) come as a result of the return to the Land of Israel. This becomes our motivation for reading this story on Chag Habikkurim. We demonstrate our love and appreciation for the Land of Israel and the Torah which thrives there. The Book of Ruth contains story specific messages (the basic story and its outcome, a ‘snapshot’ of the times) and a more global message (the Messianic process and its continuation for the benefit of the whole world). The Torah can be seen in a similar light. The ‘small picture’ is in terms of our unique, personal relationships with God, His Torah and how it impacts every aspect of our lives as Jews. The ‘big picture’ is appreciating that the Torah impacts humanity. At Mt. Sinai a code of morality was given to the entire world. There is no better time to reflect on these ideas than on Shavuos, by reading a sefer in which the same dichotomy exists. Let us hope that when we read the Book of Ruth again some of these ideas will inspire us to feel closer to the text, closer to the Torah and the Land of Israel and ultimately to the Creator of the World. Along with many others, I grew up in a home where the Yizkor days were held in some sort of ‘mystique’ status and the attendance in shul for the people saying Yizkor was mandatory. I often asked myself why this was so, and as I have grown older, I am beginning to understand the deeper level of this practice. Yizkor means to ‘remember’ and the very act of remembering begs the obvious question: for what purpose? Why? Rabbi Moshe Sherer, the great spokesman for Agudas Yisroel, once commented that we are described as a ‘nation’, in two ways. On Friday night we are called ‘am medushnei oneg’ which means that we take pleasure in the joys of Shabbat observance and in our close relationship to God. We are also called by Jeremiah ‘am seridei charev’ ,which means ’the nation of the remnants of the sword’. This is a reference to our painful history of torment, persecution and suffering. Many Jews define their Jewishness through these painful communal memories without any consideration for the glorious aspects of our history. Rabbi Sherer considered which description of the Jewish people is central for our future? His suggested we focus on ‘am medushnei oneg’. He explained that this focus produces a vibrant Judaism, full of joy and hope, with Jews constantly growing in their connection with God. 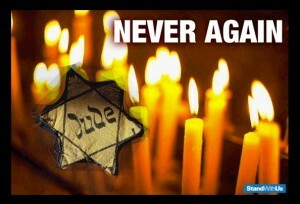 The second type of Jew has a Jewish ‘identity’ but may not transmit it to a future generation who did not experience the suffering which he/she personally went through. I have come to realize that our task in the act of Yizkor is (and always was) to make the remembering ‘positive’, to celebrate the great achievements of those loved ones we memorialize. We take their lives and transmit this to our children and beyond. This creates the reminiscent moments in our families as moments of pride and hope. The pain of suffering is always important to contemplate but at the time of Yizkor we are as much remembering the future generations, those who are not yet born, as we remember our loves ones who have passed. In the end of the day our missions are similar even though our circumstances are so profoundly different. Let us cry for our loved ones and mix tears of joy/pride into those tears of sadness, as we remember the dedication of those earlier generations to keep our heritage alive. Let us all be blessed to become ‘am medushnai oneg’ in our Jewish lives and to make the act of remembering an uplifting experience. We are living in an era where we are transitioning from first-hand testimonies to the horrors of our recent history, to a generation that doesn’t know a world without a Jewish army and homeland. Through the Zechut Avot, merits of our ancestors, which we invoke so frequently during this auspicious time, may we gain strength, commitment and dedication to God. As we read on the second day of Rosh Hashanah, of the first Jew to willingly sacrifice his life, Isaac, let us recall all those who sacrificed their lives. Let us pray that in the year to come the entire Jewish nation has to opportunity to live by the Torah and not, God forbid anything else. The Mishna lists many different types of Succot and discusses their status as a viable Succah. Some of the more adventurous discussions include a Succah on a camel, a Succah on top of a Succah and a Succah which reaches so high that one cannot view the ceiling/Schach. Why would the Mishna spend so much time discussing Succah constructions that are extremely unlikely, like a Succah on top of a camel? With all the possible varieties of Succot suggested in the Mishna, what encouragement is perhaps given when building your own Succah? What makes your Succah unique? Isaac’s parents, Abraham and Sarah, were 100 and 90 respectively at the time of his birth. With the public reading of this supernatural birth on Rosh Hashanah, what are we decreeing about Jewish existence? Why is it important to invoke the miraculous nature of our beginning and continued existence on the day of judgement? While the role of Tefilla is central to both the Rosh Hashanah experience and the story of the birth of Isaac, are there any other reasons we read of that miraculous event on the first day of Rosh Hashanah? It is clear why Teshuva and Tefilla are critical to preventing any negative decree but why is Tzedaka relevant? How is giving of charity significant in the repentance process? 28. The hidden things belong to the Lord, our God, but the revealed things apply to us and to our children forever: that we must fulfill all the words of this Torah. What hidden things are the Torah referring too (See Rashi, Ramban, R’ Hirsch, Kesav Hakaballah for interesting comments)? What mission does this empower the Jewish people to focus on? While examining history, how have we done with this instruction? One of the suggestions is that the hidden refers to the thoughts of men, this being a reassurance to us that G-d will not punish us for the thoughts of one man. How does this opinion frame our thoughts? How should it impact the things we think about? 1. And Moses and the elders of Israel commanded the people, saying, Observe all of the commandment that I command you this day. 2. And it will be, on the day that you cross the Jordan to the land the Lord, your God, is giving you, that you shall set up for yourself huge stones, and plaster them with lime. Why does Moshe command the Jews to write the Torah on these rocks? Can you think of any other time the Torah was inscribed on rock? Is there a connection? Are there any other commands that perhaps relate to placing the Torah (or portion of it) at the entrance to a specific area (See R’ Samson Raphael Hirsch for further discussion)? The Torah introduces us to the parameters of how one must approach marrying a captive of war (21:11-14). What is the most famous case in Tanach of a King marrying a woman taken captive in battle (see Radak Shmuel 3:3)? Who was their child? What does the Radak say about these types of marriages? What values could be possibly missing from a marriage of this sort that may result in the concerns as expressed by the Radak? The stage is set for what is an important conversation on our attitude towards captives of war. When referring to your enemies the Torah uses the word איביך. Why does the Torah begin the sentence with the singular tense of כי־תצא “When you go out” and continue with the plural tense of על־איביך “against your enemies”? If the Torah is making a statement of the unity required in the Jewish people when waging war, what is the reassurance the Torah offers about the weakness of our enemies? Many have suggested that the plural tense of על־איביך is referring to both a physical and spiritual battle that is being waged. How do the Pesukim (21:11-14) that follow our above introductory Pasuk frame this conversation? In the last section of Shoftim we are introduced to the Mitzvah of Eglah Arufah, the broken Heifer. 8. “Atone for Your people Israel, whom You have redeemed, O Lord, and lay not [the guilt of] innocent blood among your people Israel.” And [so] the blood shall be atoned for them. 9. And you shall abolish the [shedding of] innocent blood from among you, for you shall do what is proper in the eyes of the Lord. Why do the elders of the city, who are clearly not guilty of murder, have to take responsibility for this deceased person? Why is this death a moment for repentance for the entire community? Why is this command surrounded on either side with stories and instructions of war? What commentary can one add to our attitude towards war after reading of the Eglah Arufah? What scenarios can the idea of Eglah Arufah be applied to? Does it offer any insight on a communities attitude towards its destitute? What comments can one add on approaching behaviors such as bullying? 1. When you go out to war against your enemies, and you see horse and chariot, a people more numerous than you, you shall not be afraid of them, for the Lord, your God is with you Who brought you up out of the land of Egypt. 9. And it shall be, that when the officials finish speaking to the people, they shall appoint officers of the legions at the edges of the people. How is one to understand the phrase ‘מי־האיש הירא ורך הלבב’, ‘who is fearful and fainthearted’? Why would the Torah repeat two very similar sentiments (fear and faintheartedness)? Are there different traits in a person who is fearful vs. one who is fainthearted (see Torah Temimah ad loc. for further discussion)? How do these words shape our attitude towards war? What is the Jewish attitude on waging war? 23. However, be strong not to eat the blood, for the blood is the soul; and you shall not eat the soul with the flesh. Why does the Torah suggest that extra care is necessary with this prohibition through the encouragement to ‘be strong’? What is the blood according to our above verse and therefore why do we have to refrain from eating it? What does this prohibition suggest on how we should relate to other living animals? 15. However, in every desire of your soul, you may slaughter and eat meat in all your cities, according to the blessing of the Lord, your God, which He gave you; the unclean and the clean may eat thereof, as of the deer, and as of the gazelle. What is the meaning of רק בכל־אות נפשך – ‘However, in every desire of your soul’? Is the Torah talking of meat with a different status to other meats (see Torah Temimah)? What is the Jewish attitude towards consuming meat and is there a concern towards consuming meat that isn’t dedicated for sanctified service? Is the consumption of meat an ideal status or is it permissible only because of the deep desire to consume it? 26. See, I present before you today a blessing and a curse. Why would the Torah use the language of sight (Re’eh) when Moshe presents them with non-tangible items of blessings and curses? The Ohr HaChaim suggests that Moshe is encouraging the Jewish people to look at him as the example of someone who has seen both Bracha and Klala. He strongly advises that they chose their direction carefully because he has seen all there is to see and understands the advantages of living a spiritual existence. What in Moshe’s experiences address his ability to relate to the benefits of living for the world to come vs. the physical world? What struggles has Moshe overcome that relate to the future struggles of settling the land of Israel? 18. And I fell down before the Lord as before, forty days and forty nights; I neither ate bread nor drank water, because of all your sins you had committed, by doing evil in the eyes of the Lord to anger Him. For what reason does Moshe provide us with the details of his eating habits whilst in the presence of God? What does Moshe sacrifice to bring the Torah to this world? Is the sacrifice just about sustaining himself physically or is it perhaps about removing himself from his ability to live in this world? 7. Remember do not forget, how you angered the Lord, your God, in the desert; from the day that you went out of the land of Egypt, until you came to this place, you have been rebelling against the Lord. Why does Moshe remind the Jews of their lack of merit in conquering the land? In whose merit do we successfully conquer the land? What role does this humbling message impart for future generations when they will examine their presence in the land? What is the relevance of this message for us today? This Shabbos, immediately following Tisha B’av, is known as Shabbos Nachamu, the Shabbos of comfort. Can the word Nachamu be related to another Hebrew word (see Genesis 6:6, Exodus 32:14)? Translating the word Vayinachem to mean ‘regret’, how does that shape our reaction to Tisha B’av? What is the role of comfort in the face of destruction? What is the role of regret?